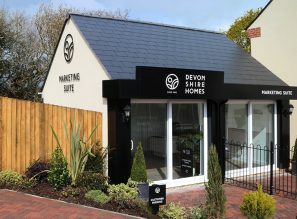 Bovey Tracey house hunters are urged to act quickly if they want the chance to live in the beautiful show home at Devonshire Homes’ popular site, The Tors. The local independent house builder has announced that its five bedroom Cromwell show home is now available to move into. With stylish show home features such as flooring throughout, contemporary light fittings, curtains and a fully integrated kitchen included in the price and with Help to Buy also available, this home won’t be around for long. 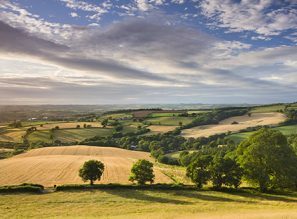 The Tors, Devonshire Homes’ highly regarded development, is located in the bustling town of Bovey Tracey with Dartmoor National Park on its doorstep. Now in its final phase, only a select few homes remain. The impressive show home has welcomed many potential home owners through its doors. The modern freehold townhouse offers flexible living across three floors. The open plan kitchen / dining / living area on the ground floor is truly the heart of the home. With large French doors opening out onto the rear garden, this room is flooded with natural light creating a relaxing atmosphere for the whole family. The fully integrated kitchen includes a beautiful tiled floor and utility room providing valuable additional space. A handy cloakroom and understairs cupboard add the finishing touches to the ground floor. On the first floor, house seekers will discover three spacious bedrooms and a family bathroom. The master bedroom features a good-sized en-suite and benefits from fitted wardrobes in a dressing area. Two more bedrooms can be found on the top floor along with a shower room so there will be no fights for the bathroom early in the morning. Help to Buy is also available on this home for both first time buyers and existing home owners. The government funded scheme allows house hunters to purchase a new build home with just a 5% deposit. To purchase the Cromwell, potential home owners would need to put down a deposit of £22,500. The government would then contribute a 20% equity loan, £90,000, and the remaining 75% would be secured by a mortgage of £337,500. 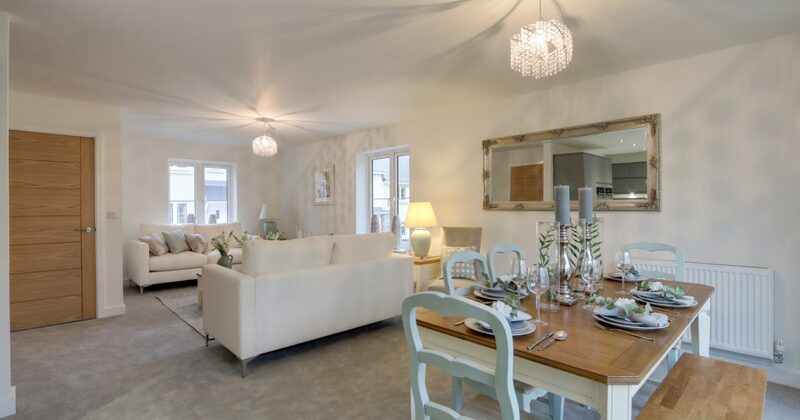 The Tors is located in Bovey Tracey which has a close-knit community and plenty of amenities as well as being conveniently close to the major commuter routes of the A38 and the M5. Prices currently start from £230,000 for a freehold two bedroom house.